Have you ever asked your clients what it is that keeps them purchasing their favorite skin care product? Do so and you will hear everything from “It reduces the fine lines on my face” to “It feels great on my skin” and “I love the smell.” These answers, and others, speak to the art that is skin care product formulation. Through a delicate balance of ingredients, chemists create products that cleanse, moisturize, lighten, protect, or reduce the signs of aging, with features such as pleasing consistency and pleasant fragrance, characteristics that appeal to consumers’ senses. While there are thousands of ingredients available to product formulators, each of them fits into one (or both) of two categories – those that are “functional” and those that are “active” or “performance” ingredients. As a skin care professional, you have no doubt heard these terms countless times. But what do they mean? At face value, “functional,” “performance,” and “active” sound like different ways of saying, essentially, the same thing. But in reality, these categories could not be more different. Any skin care product that intends to stimulate or enhance normal mechanisms of cellular repair includes “active” or “performance” ingredients. What is the difference? If the product is a drug or a cosmeceutical, a skin care product that features drug-like qualities, the ingredients that work to improve the skin are referred to as “active” ingredients. 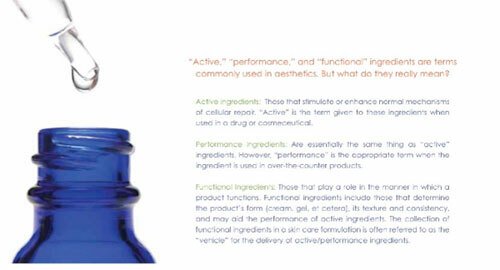 In the case of a skin care product that may be purchased over-the-counter, they are called “performance” ingredients. Examples of active or performance ingredients include hydroxy acids used in anti-aging and exfoliation products, tretinoin or benzoyl peroxide found in acne treatments, polysaccharides in moisturizers, hyaluronic acid for skin lightening, and antioxidants found in a wide variety of skin care products. There are hundreds of active/performance ingredients available to skin care formulators. Of course, active or performance ingredients are not necessary in all skin care products. Take, for example, facial cleansers. While a good number of cleansers include performance ingredients like salicylic acid or antioxidants, many of them are simply designed to cleanse dirt and excess oil from the skin. In the latter example, performance ingredients are not necessary. Base – The quality of the vehicle is mostly determined by the base ingredient used in a product formulation. The foremost ingredient of any skin care product, the base of most skin care products is water. The base can be illustrated as a liquid filling a glass. All the other ingredients in a skin care formulation are simply added in drops. Thus, you can understand the importance of a quality base. Emollients – Used to help improve the spreading ability of a product, emollients also form a protective layer over the skin, which helps hold in moisture. For that reason, they are commonly used in moisturizers. Examples of emollients include lanolin, cetyl alcohol (not a traditional “alcohol”), and petrolatum. Emulsifying Agents – Emulsifiers bind water-soluble and oil-soluble components of a formulation, thus, preventing a product from separating. Also referred to as “thickeners,” examples of emulsifiers include glycereth 20, carbomer, isopropyl palmitate, and polysorbate. Fragrances – There are two reasons for using fragrance in a skin care product. The first is to simply make the product more attractive to consumers; it is part of the psychology of marketing. The other reason is to mask the unattractive odor that accompanies some of the other ingredients in a skin care formulation. Humectants – Chemical substances that can absorb more than their molecular weight in water, humectants are utilized in skin care formulations to aid in the prevention of water loss from the surface of the skin. The more humectants in a moisturizer, the heavier it will be. 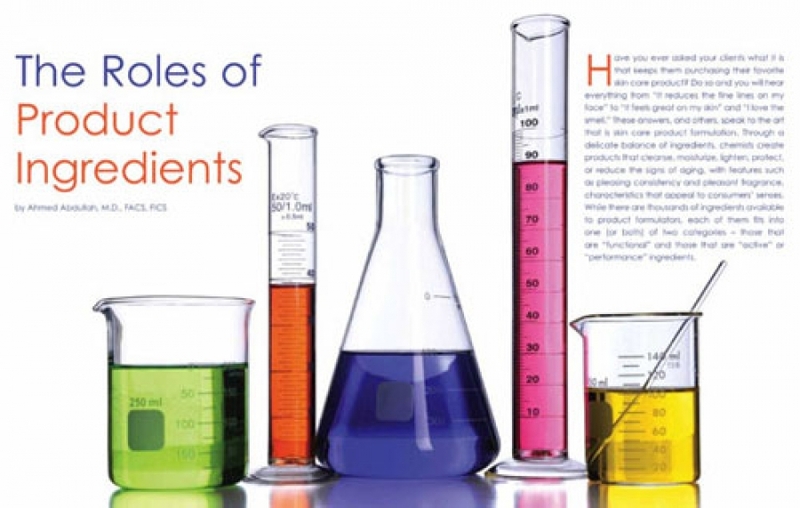 Examples of humectants include propylene glycol, glycerin, mineral oil, and urea. Preservatives – Preservatives are natural or synthetic substances used in skin care products to prevent microbial growth and product decomposition. Examples of preservatives include methylparaben, isobutylparaben, DMDM hydantoin, and quaternium-15. Surfactants – Officially called “surface active agents,” surfactants are generally used in cleansers to lift oil and dirt away from the skin. Because their role is to reduce the surface tension of a liquid, surfactants can also be used to improve the spreading ability of a product. Examples include sodium stearate, steareth-20, and PEG-100 stearate. While most skin care ingredients fit neatly into one of the two categories outlined above, some fit into both. Take, for example, one of my favorite skin care ingredients, aloe vera. Countless studies have demonstrated the healing abilities of aloe, and because of this it is an active ingredient in cleansers, moisturizers, products that treat acne, and much more. However, some skin care companies utilize aloe as a base due to its excellent ability to penetrate the skin, unlike water. When used as such, aloe plays a dual role. Alpha hydroxy acids (AHA) serve as another good example of an ingredient that fits into both active/performance and functional categories. Not only are AHAs used in exfoliants and anti-aging products to reduce the signs of aging while improving skin texture, they also function as humectants. Then there are biological additives and botanicals. These substances, derived from plants and animals, are typically added to improve the aesthetics of a product, including its look, texture, and smell. However, emerging research is showing the ability of some biological additives and botanicals to positively affect skin physiology. Examples include green tea extract, grapefruit oil, and royal jelly. You will recall that I originally referred to skin care product formulation as a “delicate balance of ingredients,” a description that is certainly appropriate given the challenges formulators encounter when creating a product. To ensure the formulation’s stability, each ingredient must be added at the appropriate time, and in the appropriate quantity. Beyond these factors, quality comes into play to ensure maximum results. Consumers often encounter advertising that hypes the quantity of an active/performance ingredient in a formulation. In reality, however, adding too much of a good thing could cause the product to be irritating to the skin of most individuals or result in negative side effects. Conversely, products that contain insignificant quantities of an active/performance ingredient can still list that ingredient on the label. However, the product end user will, most likely, see no benefit from it. In the case of ingredients that play the role of both active/performance and functional ingredients, such as alpha hydroxy acids, the amount of the substance added to the formulation determines the impact it will have on the skin. For example, if you add a significant amount of an AHA, the result will be exfoliation. Add small quantities and it will act more like a moisturizer. Simply having an ingredient in a product says nothing about the quality of that ingredient. Note that product ingredients fall into one of five quality grades. In descending order of purity, they are: Pharmaceutical, food, cosmetic, reagent, and technical. Most over-the-counter cosmetics utilize cosmetic-grade ingredients, which, while still of reasonably high quality, contain allowable impurities. Pharmaceutical-grade ingredients, however, which are used in drugs and many cosmeceuticals, have the highest level of purity (99.9 percent pure) and contain higher levels of the components that encourage cellular repair. Most active/performance ingredients are inherently unstable over time. This is why most skin care products offer an expiration date on the packaging. However, this instability may be further exacerbated by conditions such as exposure to light and improper temperatures. Therefore, most manufacturers take care to package products in containers that protect the formulation as much as possible. Some manufacturers will even go as far as directing distributors on the appropriate storage conditions of their products. Formulations may also be compromised by chemical reactions among ingredients, which is why the order in which ingredients are added is essential. And, because some ingredients simply break down in the presence of other substances, they may be placed into a formulation via encapsulation. An example of this is antioxidants like ascorbic acid, which may often be included within tiny beads made from a plant protein, which melts when applied to the skin. So then, the obvious question is - how do you help your clients determine if a skin care formulation is optimized to best meet their needs? The most useful tool in this effort is the ingredient list found on the product itself. While the U.S. Food and Drug Administration (FDA) does not approve over-the-counter skin care products directly, they do provide some protection for consumers via the Fair Packaging and Labeling Act. This law requires manufacturers to follow specific criteria when developing product labels, including listing product ingredients in the order of concentration. Additionally, all ingredients must be listed by their INCI name, that is, the scientific term for each ingredient. For example, INCI takes a simple ingredient like shea butter and requires it be listed as Butyrospermum Parkii (Shea Butter). While this may seemingly make labels more difficult to read, it actually ensures that labels read consistently across languages and cultures. While the label will not help you determine the exact quantity of the active/performance ingredients present in the formulation, you can make a determination based on its rank in the ingredient list. The label will also allow you to determine if a therapeutic base is present, one that will allow active/performance ingredients to be absorbed into the skin. Most manufacturers that utilize pharmaceutical-grade ingredients will highlight this fact on the label. And finally, look for an expiration date and any storage instructions. Despite active/performance ingredients getting all the glory, the role of functional ingredients should not be overlooked when evaluating a skin care product. After all, a truly efficacious product requires a formulation that maximizes both. Dr. Ahmed Abdullah, a board-certified plastic and cosmetic surgeon, is CEO and co-founder of Lexli International, Inc. A recognized expert on the restorative and medicinal effects of aloe vera, he has authored several published studies, including “Effects of Aloe Vera on Gap Junctional Intracellular Communication and Proliferation of Human Diabetic and Non-Diabetic Skin Fibroblasts” (2003) and “Effects of Aloe Vera on Expression of Fibroblast Growth Factor Receptor 2 IIIc mRNA in Human Diabetic and Non-Diabetic Skin Fibroblasts” (2009). He is a member of the International Aloe Science Council (IASC) based in Dallas, Texas, and has served on its board of directors. Abdullah is also a clinical associate professor in plastic surgery at the University of North Dakota School of Medicine in Grand Forks, N.D. 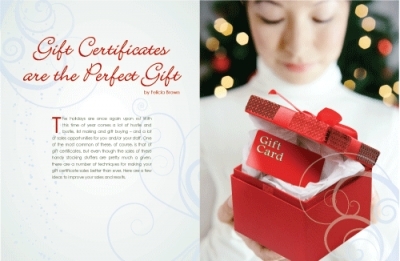 He owns and practices at Plastic Surgery Institute PC and the Lexli Skin Care Center, both based in Fargo, N.D.